If you want to learn the training secrets of a champion, this is your one chance to see and learn from a living legend! 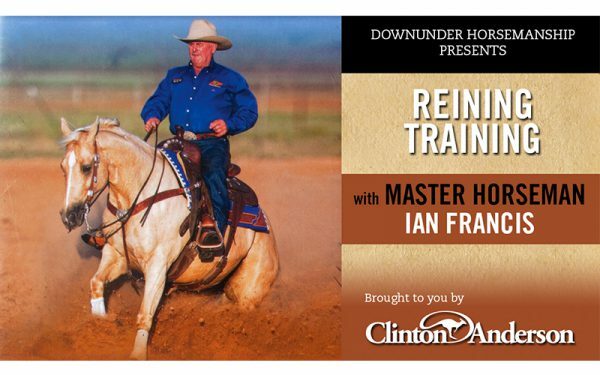 Clinton’s mentor and legendary Australian horseman Ian Francis works with several horses that are at different levels of training in this series to walk you through how to train a top-level reining horse. You’ll learn how to do rollbacks, circles, spins, speed control, lead changes and sliding stops, and Ian shares how to achieve unbelievable collection. This four-disc set is one of the most comprehensive and detailed video series on reining ever produced.